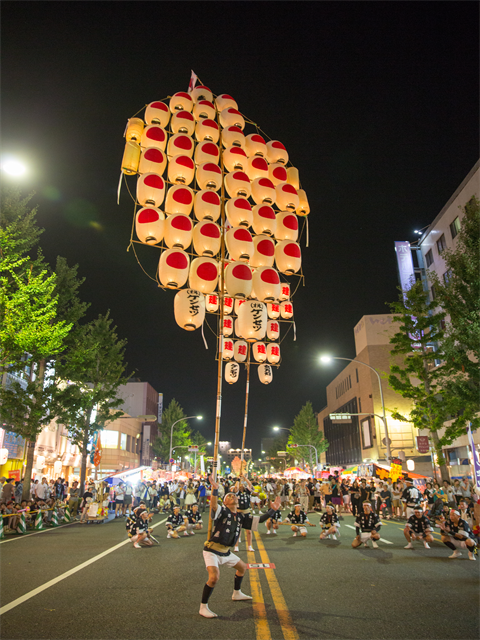 Yonago Gaina festival takes place for 2 days in Yonago city, Tottori. The name "Gaina" means"Big" or "Great" in the local dialect. This event is usually held late July or early August on Saturday and Sunday. The venue is right in front of Yonago station so you can easily access from another city even if you don't stay in Yonago city. There is a dance parade of modern dance group which is must-see in this festival . The best highlight of the event is Mantou parade. Mantou is a bamboo pole with hanging paper lanterns and its height is about 20-30 feet. One person balaces the whole thing(Amazing!). You can also enjoy fireworks in this event.